We’re expanding our series of lunchtime meet-ups! 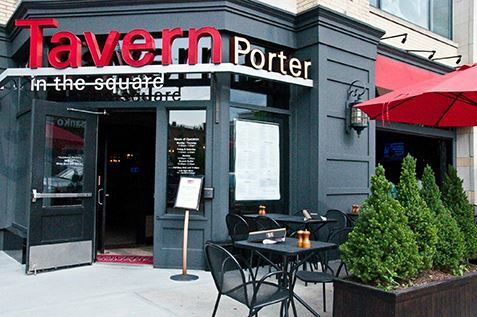 Join us for lunch at the Tavern in the Square, Porter Square, Cambridge, Friday, Jan. 27, at 1 p.m.
Our informal networking sessions in Burlington have been a hit, and we’re glad to bring this model, with some tweaks, to a new location – one that’s closer to Boston, and accessible by public transportation. As in Burlington, there’s no need to register in advance, and there’s no fee to attend other than the cost of your meal. Just show up at the restaurant and ask for the Society of Professional Consultants table. The Tavern in the Square is accessible by the Red Line (Porter Square), as well as MBTA Commuter Rail (the Fitchburg Line, also at the Porter Square station) and four bus lines. The restaurant also offers free parking in its own lot, plus validated parking in the adjacent lot.